Focus:Where Art Thou? – Straight from NY to Paradise in a Day!!! I have seemed to lost my focus. I wish it would come back. I remember the good old days when I was able to focus, concentrate, and accomplish things. I was able to make things happen! But, now sadly it has went away. Oh focus where are you? Did someone steal you? Or, did I just stop appreciating your value so you showed yourself the door? Whatever the reason, I really need my focus back and, I need it back soon! Along with my focus, I feel like I have also lost my motivation, drive, and determination. I am wondering where my edge went also. My go getter attitude. I feel like one day I woke up and a part of me that was gone. Where did it run to? Everyday it seems as if I am constantly on an internal scavenger hunt looking for these attributes that make me who I am. Without them I am lost. Currently I am working on my very first novel. To write a book is hard work and it requires a TON of FOCUS! That is why having my focus back is so important to me. Who knew it would be so hard to actually write a book, and without focus I am doomed, and set on a path to self-destruction. I have a vision for my book, a deadline, and a dream of where I want this book to go. My motivation helps me with that, so I guess I do have a little bit of that left. I want this book to do well, I am a creator. I know the potential that I have to create a life changing project. My determination helps me with that part. I see myself as a brand name in society, a force that is not to be reckoned with. I see multiple projects happening on a daily basis, a vision of being an outstanding presence in the lives of other. My cutting edge attitude, and high-speed drive to keep going will help me accomplish that piece. But to start I need my FOCUS! I am on a mission. I will get my focus back, and this time I will not let it go. I will hold on to it tighter than I have ever held onto anything else in my life. 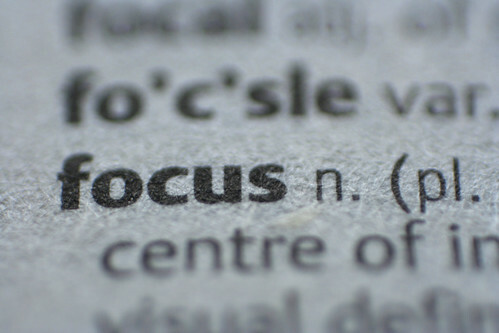 Though I know focus is intangible, I will treat it as a tangible object that I will never break or lose. Focus I want you to be my old/new permanent best friend. And when I get that focus back, I will complete my novel, I will conduct speaking engagements, I will create shows for TV, and maybe I will even have my own TV show. I will be better than I would ever have imagined that I could be. I will be the epitome of a woman who can shape the world…all because I have FOCUS.